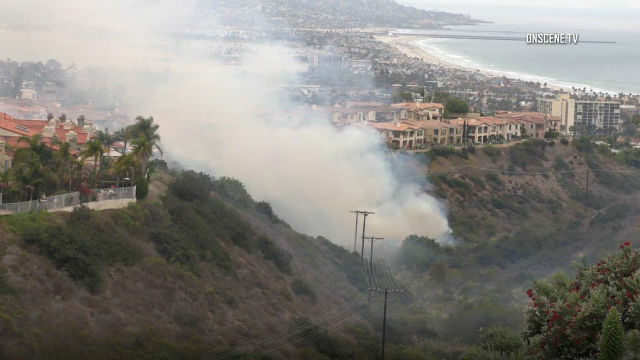 A brush fire that erupted in a squatters camp spread through part of a La Jolla-area canyon Friday, blackening steep open terrain near clusters of large homes but causing no reported structural damage or injuries. The blaze erupted off the 5400 block of Caminito Bayo for unknown reasons about 11:30 a.m., according to the San Diego Fire-Rescue Department. Firefighters doused the flames on the ground and aboard several water- dropping helicopters, the city agency reported. It took the personnel about an hour to contain the roughly quarter-acre blaze.